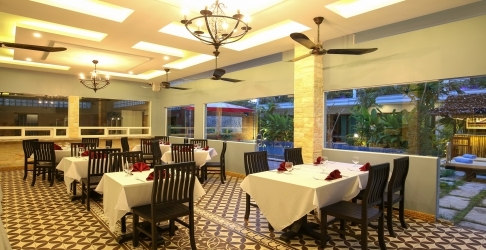 With its relaxed, comfortable ambiance, the restaurant overlooks our secluded swimming pool. This is where we serve breakfast, lunch and dinner; we cater for all your culinary needs from royal Khmer cuisine to delectable international dishes with a contemporary twist. We offer a comprehensive range of deluxe facilities and services to present our boutique for a home away from home. It combines serenity and beautiful views overlooking the natural nearby vegetation. Sober and refined the meals are cooked using fresh produce and local ingredients. 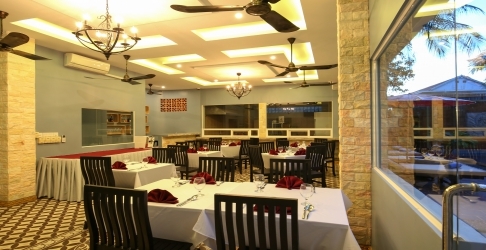 The chef even offers you Khmer cooking classes to appreciate the quality of his dishes. There is also a very fine selection of international wines. This is open throughout the day serving Breakfast, Lunch and Evening meals. Specializing in cocktails, local and international beers, light snacks and refreshments are also available. We are proud of our quality ingredients, which are exclusively fresh, organic and locally sourced. 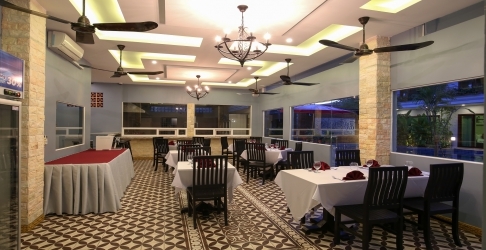 We can adapt our dishes to your liking and also offer a variety of set menus, international favorites, snacks and specialties from our Grill. It has a nice relaxed atmosphere, a perfect spot to relax after a hard days sightseeing. no look more choosing here is the best choice.